Forget Carrie Mathison’s personal life. She certainly has. As the episode title “All In” indicates, Carrie has made her choice. She is her job, and as the United States and Russian both crumble into chaos, she’s the only one in a position to put it all back together. The answer to that question will be very different if Saul, Carrie, and company are able to get Simone back to the United States, but since this isn’t the season finale, that doesn’t go as smoothly as they’d like. Even as Carrie’s team gets a location on Yevgeny and Simone and prepares to exfiltrate, Senator Paley’s chief of staff tracks down the weakest member of Saul’s “off-campus” team, Clint, who is literally in his mother’s basement. (Subtlety, thy name has never been Homeland.) Somehow word gets back to the Russians guarding Simone, as they are waiting to ambush Anson and the team, which loses one member in their failed exfil attempt. So maybe Paley really is a useful idiot...but his chief of staff Janet is working directly with Russia? Once the mission fails, Saul is ready to call it quits and head home. Or maybe he just plays it that way, knowing that Carrie will reject the notion of failure outright and come up with another plan. That’s the inscrutability of Saul! Carrie does exactly that, noting that there are fissures within the group of Russians they’ve been negotiating with that can be exploited. Specifically, one named Yakushin, who has $300 million invested in the United States. As always, it comes down to following the money. Once Saul makes it disappear, Yakushin is ready to cooperate. What follows is the kind of heart-pounding action that’s been missing since the raid on the white supremacist compound earlier this season. Yakushin’s men arrive at the safe house to retrieve Simone, immediately sparking a shootout with the GRU forces. Max, in what may be the first bit of initiative he’s ever taken, arranges for the footage to go out via Yevgeny’s network of bots. The result is a perfect storm of chaos: just as the United States is in the midst of a constitutional crisis, Russia is also at the mercy of vying factions. Who can save us from this imminent global disaster? It can only be Carrie Mathison, finally free of the burdens of domesticity to do what, as her sister put it last week, she was born to do. In this case that involves literally going out on a ledge as Max directs her from one window to the balcony of the room where Simone is being held. In truth, although the wind effects helped, a little more suspense could have been wrung out of this sequence (does no one recall the ‘80s Stephen King anthology Cat’s Eye? ), but it still comes as a relief to see Carrie back out in the field. When Simone gets the drop on her, Carrie is able to convince her that Yevgeny (who has already disposed of a number of former allies when they became inconvenient) is not going to let her live. Whether that’s true or not can be debated; Yevgeny definitely has the orders to make her go away, but he may still have had a backup plan up his sleeve. Whatever the case, the stage is set for a finale that could shake up the status quo in any number of ways. 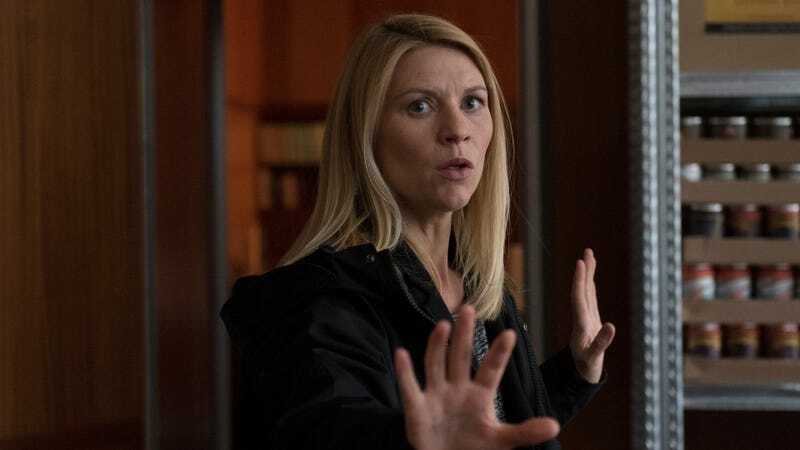 President Carrie Mathison, anyone? We were all expecting a Dar Adal cameo at some point this season, right? It finally arrives this week as Paley pays a visit to him in prison, promising better treatment from the next administration if he’ll help figure out what Saul is up to in Russia. So I guess Carrie travels with an assortment of wigs, no matter what the occasion, allowing Simone to escape as a blonde while Carrie acts as a brunette decoy. 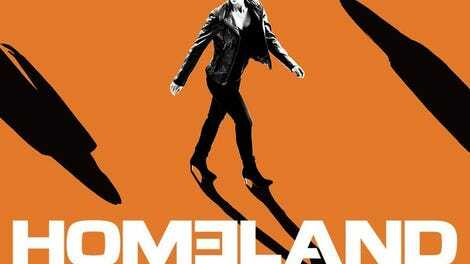 As you have probably seen by now, Claire Danes has said the next season will be Homeland’s last. Or at least, it will be her last. Given Showtime’s reluctance to part with successful series (not to mention the attempts at rebooting 24), I still wouldn’t be surprised to see a Danes-less version of the show at some point in the near future.